Note :-The number of given vacancies is tentative & maybe changed at any stage by Service H.Q. The maximum marks alloted to the written examination and to the interviews will be 300, 300,300 and 200 each for admission to the Indian Military Academy ,Indian Naval Academy ,Air force Academy and Officers Training Academy respectively. 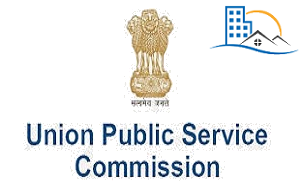 The written examination for UPSC CDS 2016 consists of objective type questions.The language of written test will be both in Hindi and English.Also candidates are not allowed to use calculator inside the examination hall. Mobile Phones/bluetooth/pagers are also strictly prohibited inside the examination hall. Applicants should note that there will be a limit on the number of candidates allotted to each of the centres except Chennai, Delhi, Dispur, Kolkata and Nagpur. Allotment of Centres will be on the first-apply-first-allot basis and once the capacity of a particular centre is attained, the same will be frozen. Applicants, who cannot get a centre of their choice due to seat limit, will be required to choose a Centre from the remaining ones. Applicants are, thus, advised that they may apply early so that they could get a Centre of their choice. Degree of a recognised University (with Physics and Mathematics at 10+2 level) or Bachelor of Engineering. Candidate age should not be more than 24 years and not below than 18 years as on 1st July,2017. Application fee for General & OBC candidates is Rs. 200 & for SC/ST & Female candidates no fee to be paid. 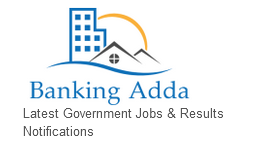 Interested & Eligible candidates can apply only through online mode.No other method of Application form is available.Online application form starts on 16th July 2016 & last date to submit online application is 12th August 2016.Fee can be paid through Internet banking,Debit card,Credit card & by visiting any branch of SBI on banking hours.Candidates can only apply by visiting OFFICIAL WEBSITE.